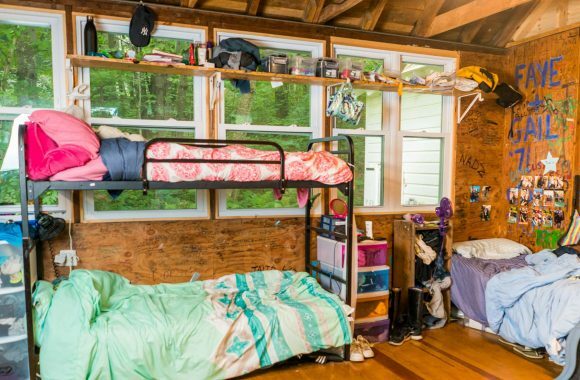 Communal living at Yavneh is one of the most special parts of camp. 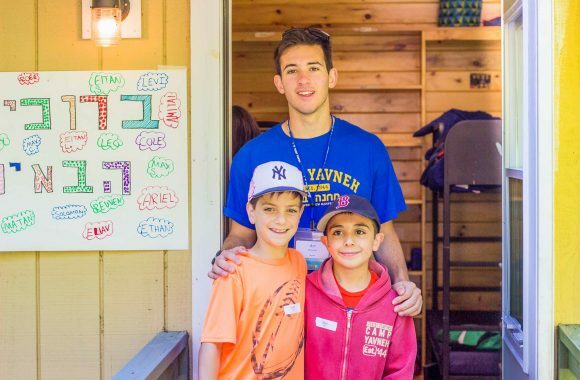 Since most of our madrichim have been campers, they love to pass on the masoret which ensure that all campers have a great summer at Yavneh. The bunk is home to our campers. Sha’at menucha happens after lunch when all campers go back to their bunk to recharge. A lot happens during that time including writing letters home, playing cooperative games, catching up with friends and having some downtime on their bed. Finally, bedtime at Yavneh has its own set of rituals. Lower camp starts heading back around 8:30 PM where campers change into pajamas, brush their teeth (don’t worry, we have to do a lot of reminding too! ), a story (there are a lot of really good storytellers at camp) and of course, we recite the sh'ma before a little flashlight time and lights out. Upper camp heads back starting at 9:15 PM, with many of the same rituals plus many bunk specific activities to continue to build community. After lights out, Yavneh always has at least one counselor stay in the bunk with the campers all evening.